CHENGDU, Jan. 17 (Xinhua) -- A pair of giant pandas have departed a panda base in Sichuan Province bound for Finland on a 15-year research project. The pandas will leave Chengdu Shuangliu International Airport at 6 a.m. Thursday and arrive in Helsinki, capital of Finland, at 10 a.m. Thursday local time, according to China Conservation and Research Center for the Giant Panda. A send-off for the pandas was held at the center's Dujiangyan base on Wednesday morning. 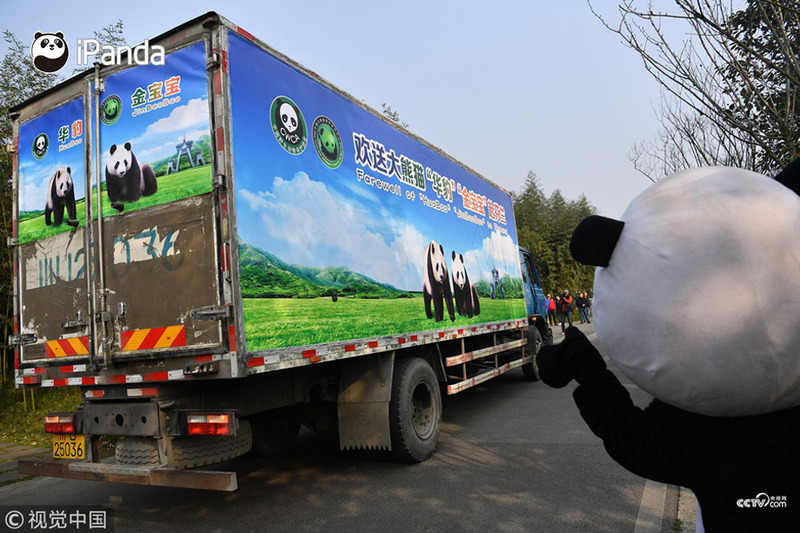 A send-off for the pandas was held at the center's Dujiangyan base on Wednesday morning. In attendance were Finnish ambassador to China Jarno Syrjala, base staff and Sichuan forestry department officials. Brought up in the base, the male Hua Bao is four and a half years old and the female Jin Baobao is three years and four months. 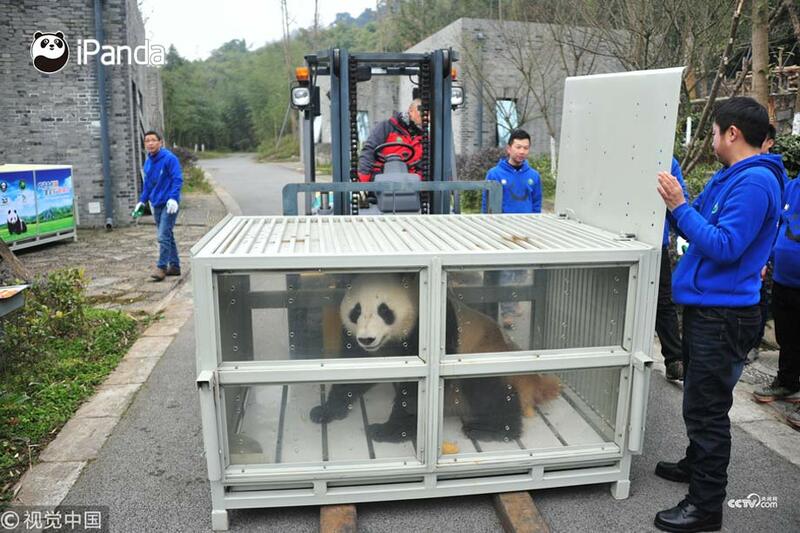 During their flight, they will be accompanied by a keeper and a veterinarian from Dujiangyan. "The two pandas have big appetites and eat 40 kilograms of bamboo every day," said keeper Huang Shan. The flight's "meal service" includes 120 kilograms of bamboo, and 30 kilograms of bamboo shoots and carrots. A pair of giant pandas have departed a panda base in Sichuan Province bound for Finland on a 15-year research project. 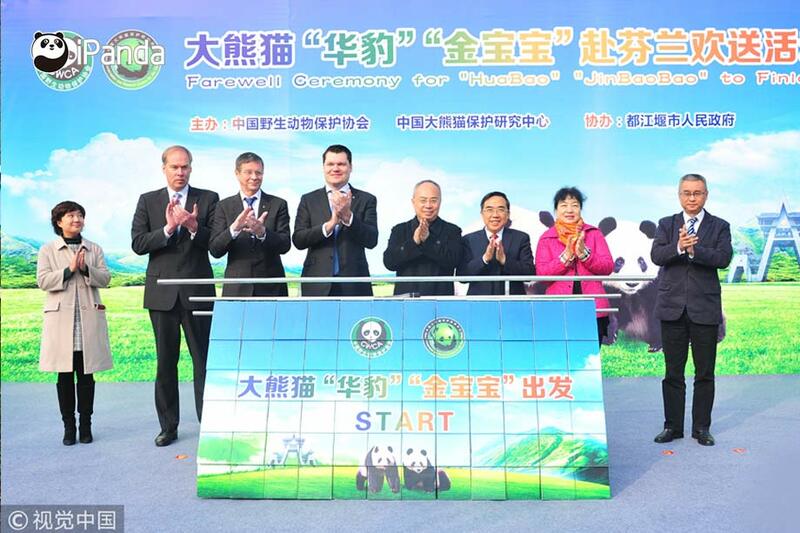 The two pandas' new home is in Ahtari zoo, Finland's largest wild zoo. Located in central Finland, the zoo has spent three years building a luxurious panda house for the two pandas. At a cost of about 8.2 million euros (10 million U.S. dollars), the panda house covers 6,000 square meters. The pandas' five Finnish keepers and veterinarians have been to China to prepare the pandas for Finland. "It will snow in winter in Finland, similar to the native habitat of pandas," said Jukka Salo, director of Ahtari zoo. Ahtari zoo has signed a 10-year deal with a Dutch agricultural company that will provide 22 different kinds of bamboo. The two pandas have been given Finnish names. Hua Bao will be known as Pyry (snowfall) and Jin Baobao has been named Lumi (snow). Their original Chinese names will be preserved, but the zoo wants the newcomers to have Finnish names that will be easy for Finns to remember. During the visit by Chinese President Xi Jinping to Finland last April, China and Finland signed an agreement on joint research program. China Conservation and Research Center for the Giant Panda has research ties with 15 zoos in 13 countries, and 34 pandas are currently overseas. A total of 18 panda cubs have been born abroad, with 12 returned to China.